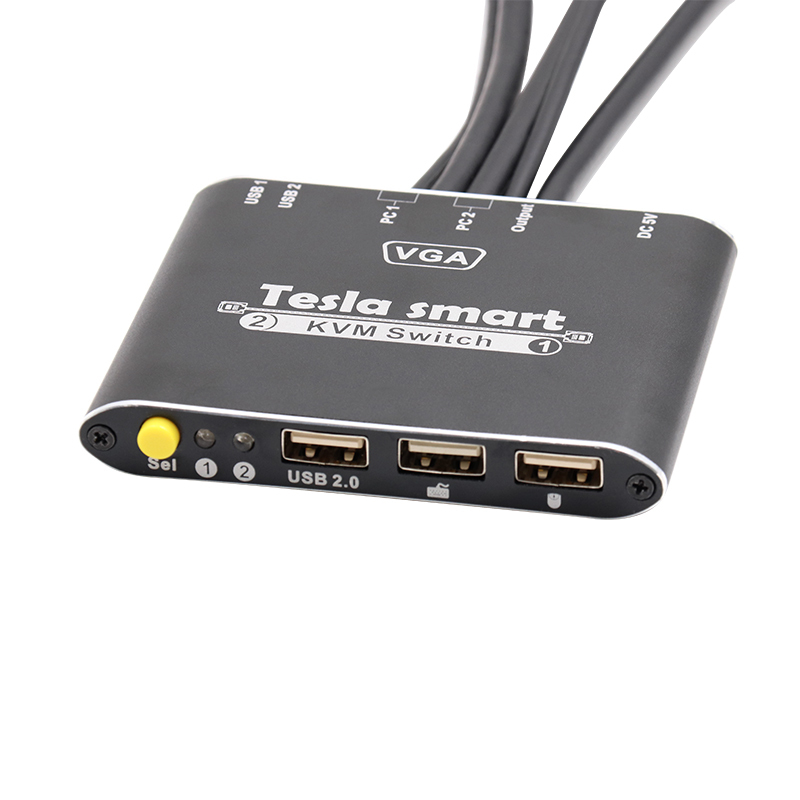 This 2x1 VGA Cable KVM Switch provides you with great flexibility in integrating cross-platform computer equipment easily. 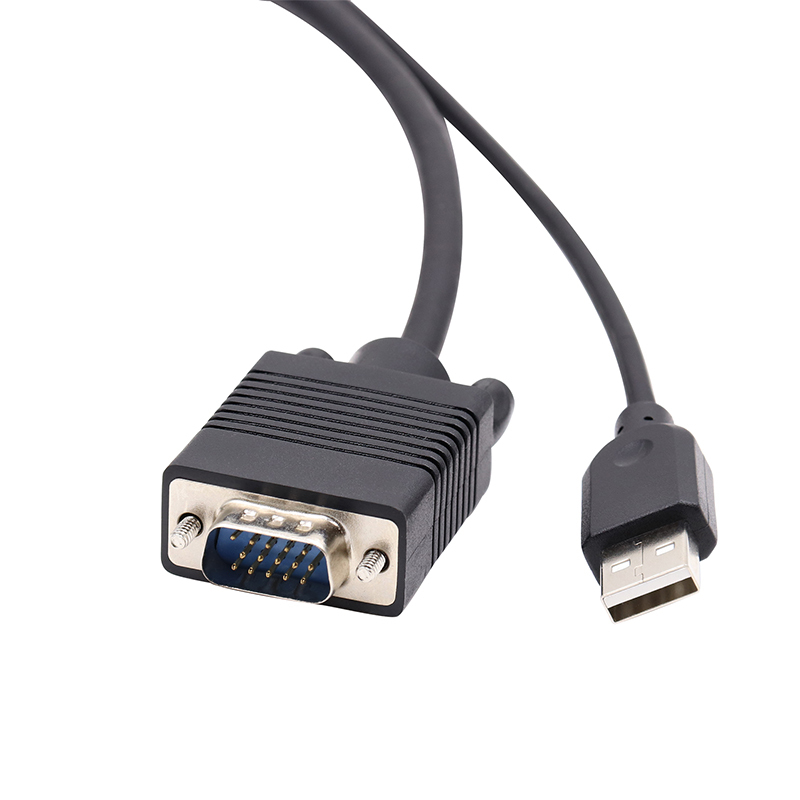 It makes you available to switch easily and reliably between two computers using one compliant display. 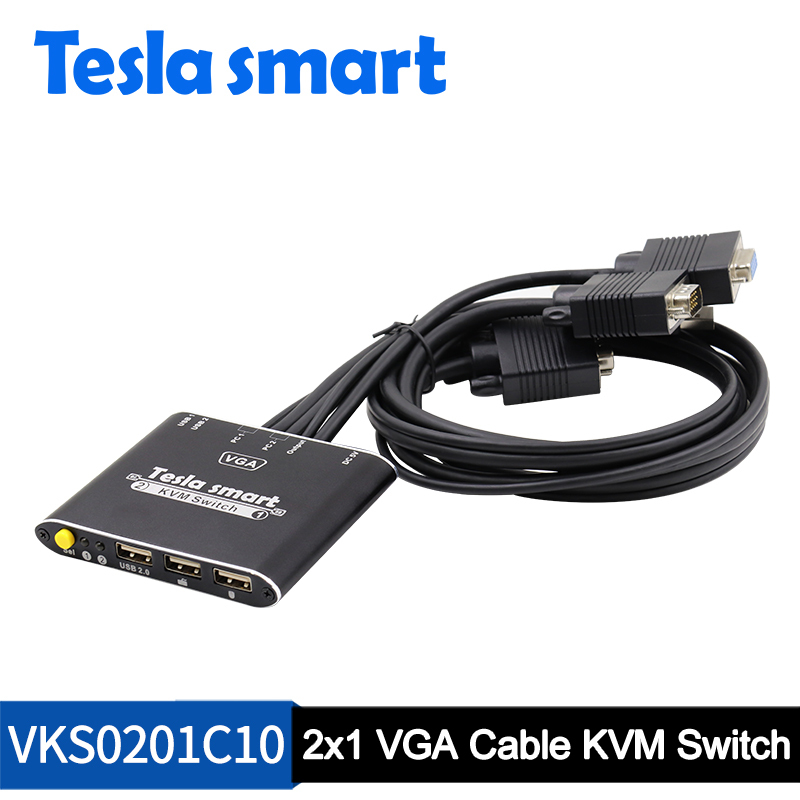 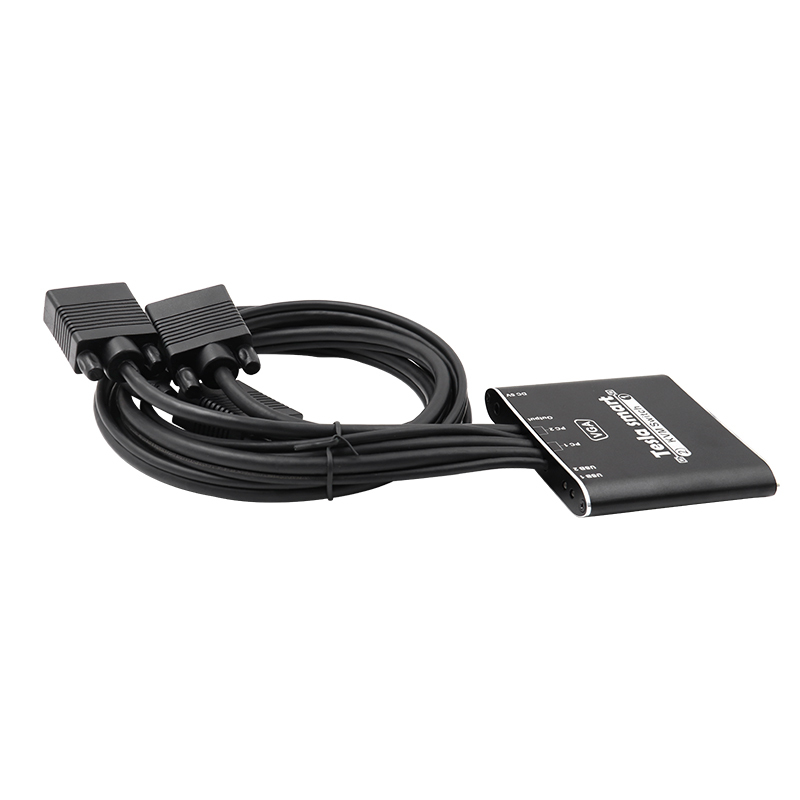 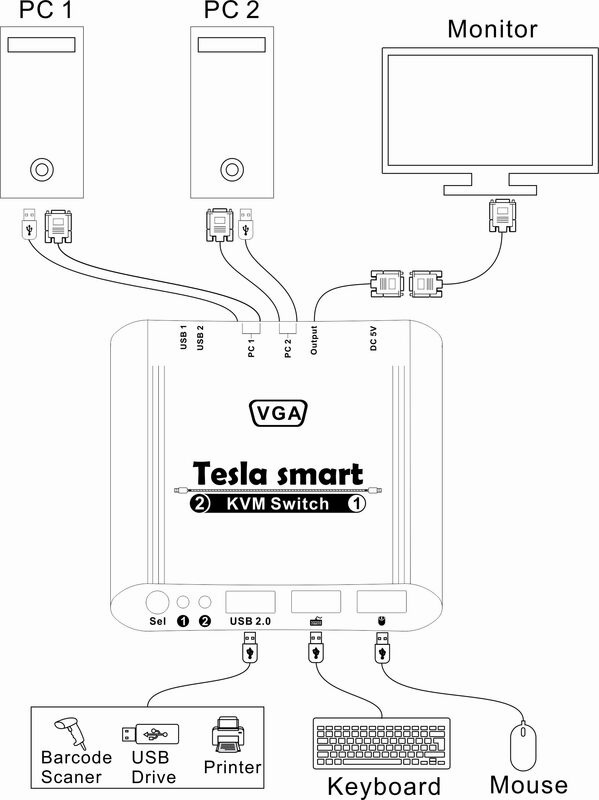 This 2x1 VGA Cable KVM Switch, built-in VGA and USB cables for VGA input connection, it available to connect VGA sources directly. 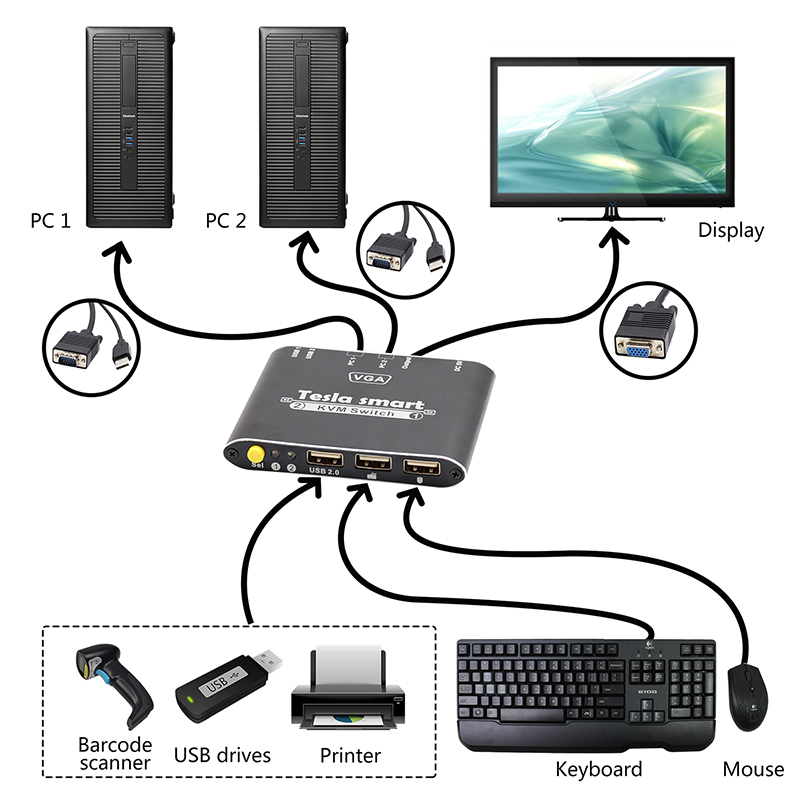 Support USB 2.0 hub and USB 2.0 keyboard/mouse, by using USB hub ports on the KVM, you can attach USB drive, printer, barcode scanner or other USB devices to the KVM. 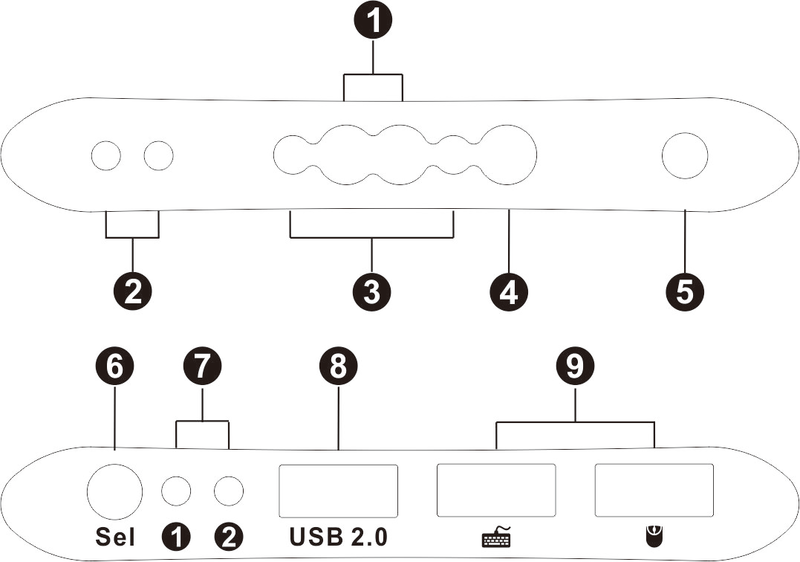 Switch can be control by keyboard hot key and front panel source selector buttons.